CUBE is pleased to announce the international design competition for students and fresh graduates from around the world to explore and express their views on the future of Egyptian settlements on Mars through their innovative and visionary proposals. Mars has exerted a strong fascination over humankind for centuries. 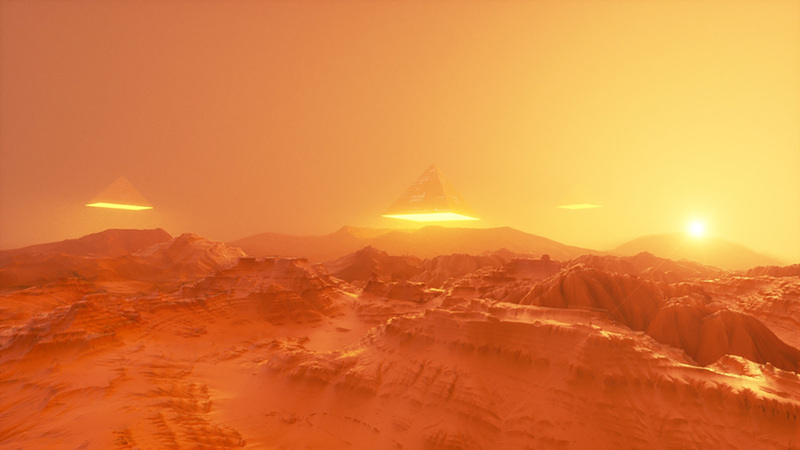 Egyptians colonizing the Red Planet might still exist in the realms of science fiction. But today, the human race is edging closer to becoming an interplanetary species as the previous decade has witnessed Mars as the center of attention for becoming a potential new habitat for the earth’s future population. With many visionary organizations and their ground-breaking explorative studies and research, the unseen future of inhabiting the Red Planet is now a real possibility; an opportunity to create a utopian tomorrow, making mankind a multi-planetary species. This competition is intended to envision a habitat for the first Egyptian colonizers on Mars. It challenges participants to design the future architectural prospect that would define a trend for the architecture of the upcoming human civilization on the Red Planet.